Glazes: The Magic in Ceramics! "While applying glaze to a ceramic piece is not absolutely necessary, it can enhance the fired clay piece both on an aesthetic and functional level. Many clay bodies are not vitreous without being glazed. Glazes, by their nature, are vitreous. When glaze is fired onto a piece it's like covering the piece with glass. It seals the piece making it stain resistant and, depending on the glaze, food safe. Glazes come in literally thousands of combinations of colors, textures, styles, and types that can be applied in many different ways and fired at a range of temperatures. Glazes are sometimes the most exciting part of ceramics. This is partly because the transformation of the piece when it is fired can be quite pronounced. This is why it is often described as “the magic” in ceramics. Last week we filled our kiln with the pieces needed to complete this week's orders. On Friday we loaded up the kiln with everything from starfish, to leaves, to bones! 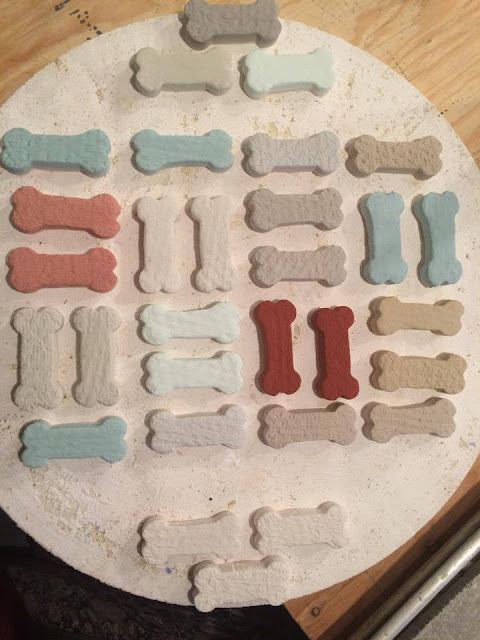 The ceramic bones we create are meant to act as sample swatches for each of our glazes! Below you're able to see what the bones looked like prior to being fired. You can see that the colors are very plain, flat, and honestly a bit boring. We use ceramic bones for this very reason - before being fired, these glazes look nothing like the final product! The bones in the photo above are the same bones in the photo below, after being fired. A big difference, right? 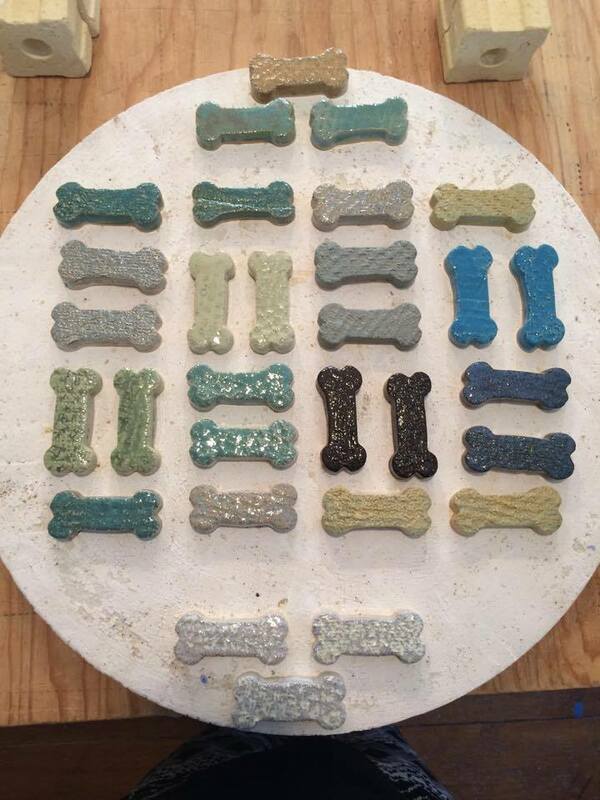 These bones display only a few of the glaze colors we offer here at Wet Dog. To view more of our glaze colors feel free to visit our Colors Palette or our Neutrals Palette - or you can order samples like you see in the photos above! For more information on how to order samples, visit our Website!